Directed by Anthony & Joe Russo. I just want to start by saying that this is more a reaction piece than a full-blown review and will contain nothing that will reveal any main story points. My personal opinion is there’s a special hell for people who spoil movies – and a particularly nasty corner reserved for those who spoil Marvel films. I’m renowned for having a short attention span but over more than a decade now and 22 films I’ve found myself fully invested in these characters and their stories, adapted from comics that I first read as little kid back in rural South Australia so many years ago. It’s carried me through most of my degree course in Film Studies, and in a few months I’ll be embarking on a final project paper examining the performative nature of villainy in the MCU. So, I’m coming at this as a film scholar and an unashamed fan-girl. This movie was a total trip. The overall design, costuming and CG are exactly what I expect from Marvel this far into the franchise and on first viewing, better than Infinity War. Fight choreography and stunt work too are typically top level and consistent throughout the movie. Tonally, it’s as I’d expected – all over the place and dependent on who’s dominating the action. The interesting thing is that I found the editing and transitions far easier and smoother than in Infinity War. For me, it was reminiscent of different movements in a piece of music, always coming back to the core theme. Hats off to the Russo brothers for pulling that off! The central performances are all on point with standouts from the original six, Scarlett Johansson, Jeremy Renner, Chris Evans, Chris Hemsworth, Mark Ruffalo and Robert Downey Jr. The first act is a beautifully executed recap from Thanos’ finger snap at the end of Infinity War and a surprisingly slow build up to the surviving team coming together again. The remainder of the film (without giving anything away) is a superbly constructed roller coaster with ALL the feels. 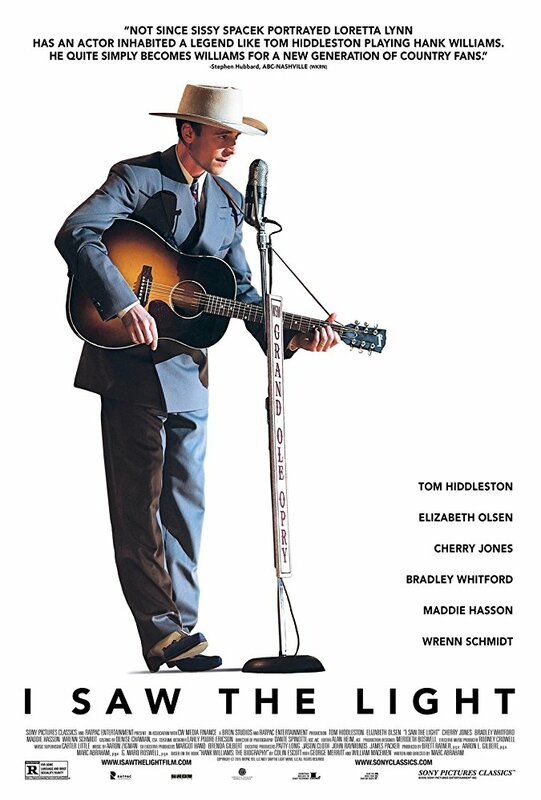 (Another pro tip: take tissues or handkerchiefs – I welled up at multiple points through this movie and unashamedly cried at a couple of scenes). 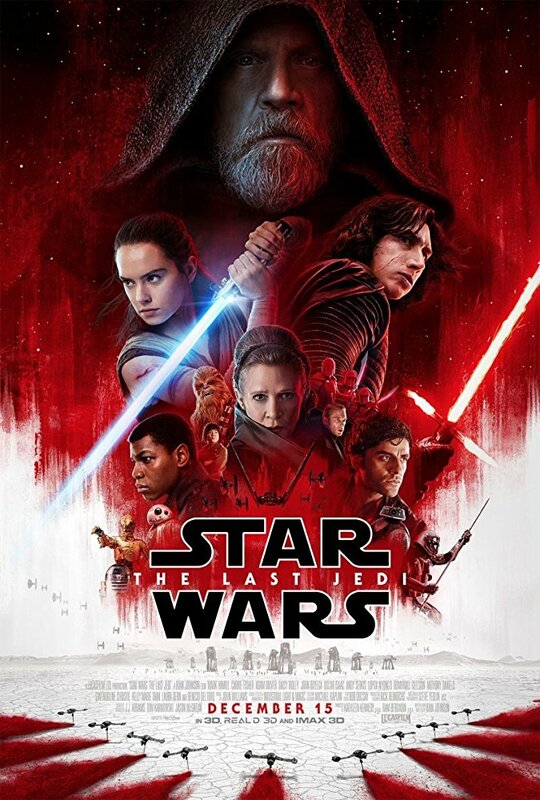 In conclusion, this is a colossal achievement in very long form storytelling that will certainly bear up to repeat viewing. Yes, I know it’s a superhero movie and trivial compared to more traditionally serious cinematic undertakings but I am reminded of Logan (2017) and how profoundly it changed the comic book movie for me. 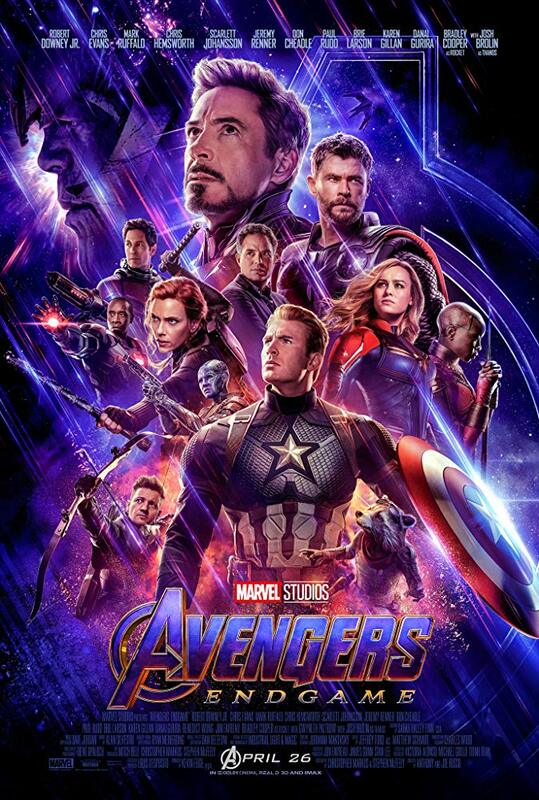 Tonally and narratively, I think Endgame is in the same league but with a bigger budget. I’m sure it will become the basis for many, many memes in weeks and months to come, but it surprised me in ways I didn’t quite expect and always entertained. Above all, it made me think about things important to me – it moved me! Surely that is the ultimate purpose of any film. Isle of Dogs 2018 Directed by Wes Anderson. I finally got to see this at the end of its cinema run in Hobart and (like so many movies) I’m really pleased I got to see it on a big screen. This stop-motion extravaganza from Wes Anderson is an absolute triumph in terms of visual styling but with respect to a coherent narrative, I’m not so sure. But I’m tempted to ask if it really matters in this film, which I found incredibly satisfying at many levels. Like all of Wes Anderson’s work, the degree of visual detail is quite dizzying, to the point of overwhelming. I need to watch this quite a few more times to get the most out of it and for me, that’s part of the joy of Anderson’s film making – it stands up so well to repeat viewing. The cast are superb, with many Anderson regulars including Bill Murray, Frances McDormand, F. Murray Abraham, Harvey Keitel, Bob Balaban and Jeff Goldblum but the standout is Bryan Cranston’s Chief. Having said that, I think it’s really a shame that Scarlett Johansson has so little to do as Nutmeg (Chief’s love interest) and at times, I found Greta Gerwig’s Tracy everything I find annoying about American culture. 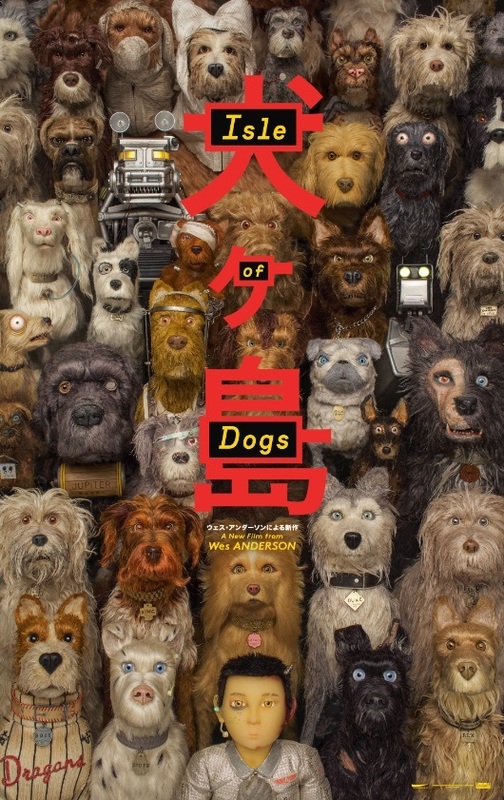 This brings me to the many discussions Isle of Dogs has prompted among both critics and audiences about Anderson’s treatment of Japanese people and culture and a perceived coldness in his film making. As a white middle-aged Australian woman, with only a smattering of Japanese, I don’t have a problem with the portrayal of what is obviously a fantasy rendering of Japan. I read the lack of subtitles over much of the Japanese dialogue as a conscious storytelling device, designed to place the audience squarely in the point of view of the dogs, who don’t understand language, just as the teenage hero Atari doesn’t understand the dogs. When required, Frances McDormand’s Interpreter Nelson gives us what we need to know. On the other hand, I really found the character Tracy incredibly annoying and I wondered if she was a parody of the “white saviour” figure that is so prevalent historically in mainstream US cinema (and yes, I’d include Anderson’s 2007 The Darjeeling Limited in that sorry bunch). Personally, I think the character of Tracy could’ve been dropped and the whole film would’ve become more streamlined from a narrative perspective, but there’s always the thought that perhaps her presence is itself an act of protest about current US global attitudes. With respect to accusations of coldness generally in Anderson’s film making, I frankly don’t buy it. His framing, colour palettes, lens use and even the actors he regularly employs all feed into a very clear cinematic vision that is heavy on detail and offers so much nuance to audiences who care to look a little more deeply. In conclusion, I don’t think Isle of Dogs is perfect (that title still rests with The Grand Budapest Hotel in my opinion) but it’s really very, very good. If you like Wes Anderson’s oeuvre, I think you’ll really enjoy this incredibly shaggy dog story. Highly recommended. Charade 1963 Directed by Stanley Donen. This quite delightful spy thriller/romantic comedy came out in the midst of the Cold War, hot on the coattails of James Bond and could’ve been made by Alfred Hitchcock. Instead, Stanley Donen (who also directed Singin’ in the Rain, Seven Brides for Seven Brothers, Two for the Road and Bedazzled among many others) exercises a light touch on something that could’ve been entirely inconsequential but is made memorable by a particularly fine cast. There are noir story elements here too, especially in the night time scenes and Paris fits the bill as a most elegant setting for the action. 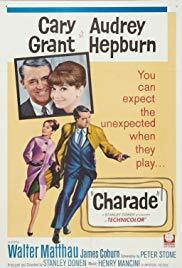 Cary Grant is busy being Cary Grant and Audrey Hepburn is simply gorgeous in her Givenchy outfits and the chemistry between the two leads is everything you want from this kind of film. It’s well backed up by a Henry Mancini score and the great Charles Lang as director of photography. What takes this up a notch for me is a truly fine supporting cast – George Kennedy, James Coburn, Ned Glass, Jacques Marin, Dominique Minot and the always watchable Walter Matthau. Donen even extends the Hitchcock comparisons by appearing briefly in a scene. It’s not deep, it’s not the greatest movie ever made but if (like me) you like some escapist and nostalgic fun occasionally, this is extremely entertaining. I’ve tried over the years to like Luc Besson’s films with varying degrees of success. Early efforts such as Subway (1985), The Big Blue (1988), La Femme Nikita (1990) and Leon: The Professional (1994) were solid efforts (helped along by the presence of the always interesting Jean Reno) but it was The Fifth Element (1997) that really grabbed me. By then, I could see that Besson was offering a particularly Gallic take on the male gaze, with strong female characters acting out (mostly) male fantasy roles. My disappointment with The Messenger: The Story of Joan of Arc (1999) was shared with most of the movie-going public globally and I admit I gave up on Besson as a director until Lucy (2014) which I enjoyed far more than I thought I would, only to be crushed again last year with Valerian and the City of a Thousand Planets (2017). So, when streaming service MUBI put the French language Angel-A (2005) up for view a few weeks ago, I hesitated. This is essentially a two-hander with Jamel Debbouze and Rie Rasmussen in the title role. 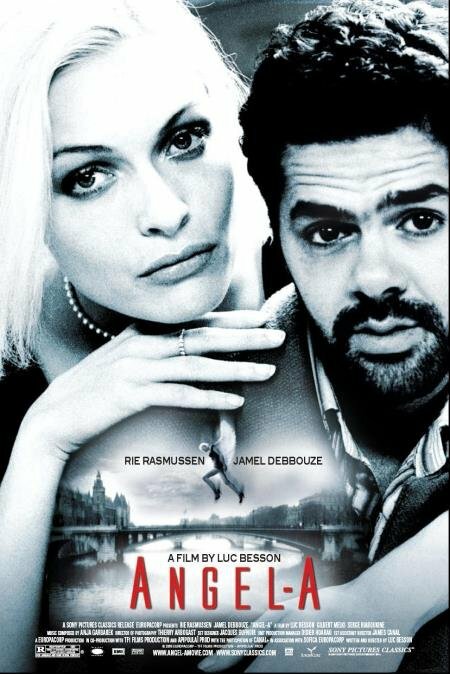 The story is quite sweet and at times even funny with Debbouze putting in a solid performance as the ridiculously inept scam artist Andre, and Rasmussen is passable as the angel who comes to earth to show Andre his value. I say passable but she is undoubtedly a stunningly beautiful woman (as are all Besson’s heroines) though her acting range is clearly limited and with such a small cast I think this holds things back. The movie is also incredibly derivative, with nods to Wings of Desire (1987), It’s a Wonderful Life (1946) and even Forrest Gump (1994), but it remains a very male fantasy, heavily imbued by the male gaze. 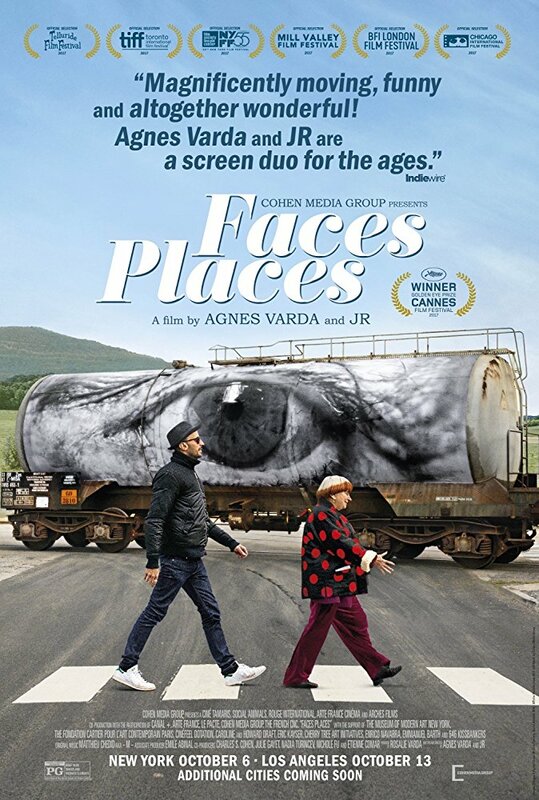 The soundtrack by Anja Garbarek is lovely and unobtrusive, Debbouze and Ramussen are okay, but in the end, the film is saved by the third major character – the city of Paris. Cinematographer Thierry Arbogast (also a regular on Besson’s projects) clearly has a great eye for a good shot and filming in black and white was a very good call, giving a more noir feel to the film. While it all looks good on paper, for me this was another forgettable film from a director who I keep wanting more from.